Asthma is a condition which affects the lungs. When severe and not properly managed or treated, it can lead to death. Women with asthma who become pregnant must make sure that they properly manage their condition or they put both themselves and their baby at risk. When a person has asthma, they are at risk of having an attack. An attack will result in breathing difficulties, wheezing and could even be fatal if not properly and immediately treated. It is important for pregnant women with asthma to continue their course of medication. If mom is unable to breathe and get enough oxygen neither will the fetus and subsequently, both are in danger. 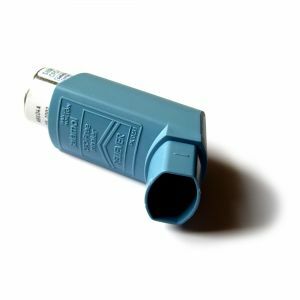 Are Asthma Medications Safe for the Fetus? Some pregnant women worry that their asthma medications will have a negative effect on their baby, for instance they may fear the medications will cause birth defects. These types of risk are small in comparison to the ones associated with not being able to breathe or failing to get enough oxygen. Unless a doctor instructs a woman otherwise, she should continue taking the same medications she did prior to becoming pregnant. Controlling one's asthma is extremely important when pregnant. A woman whose asthma is not properly being managed might develop complications. For instance, her baby may suffer from low birth weight he or she might also be born prematurely. As a result of either of the aforementioned, the baby may be required to stay in the hospital longer then if they were healthy. This can result in additional expenses for mom and dad. In addition to contributing to the low birth weight of a baby, asthma that is uncontrolled can lead to the very serious condition, Preeclampsia. Preeclampsia is a form of high blood pressure that is brought on by pregnancy. It can be very dangerous and if not controlled can result in stroke or even death. The fetus is at risk as well if the mom develops Preeclampsia. It can lead to fetal death because of the resultant lack of oxygen caused by the condition. The following can cause a woman’s asthmatic condition to worsen, respiratory infections, GERD, smoking, stress, food allergies and exercise. It is important that women be especially diligent when pregnant because some of the above conditions can be made worse during pregnancy, for instance GERD and stress. Asthma symptoms generally worsen during the latter portion of one’s pregnancy. It is important that women follow their doctor’s instructions regarding what medications to take and when to take them. The risks of not being able to breathe outweigh any threat asthma medications pose to mom or baby. Whether or not a woman’s asthma symptoms will worsen or remain the same after pregnancy is impossible to predict. Some women will find that their asthma symptoms improve while others will find that their symptoms get worse. Still others will see no difference at all. Generally speaking, those women with severe cases of asthma will probably continue to struggle in this regard throughout their pregnancy. Women, whose asthma isn’t that bad, probably will not.